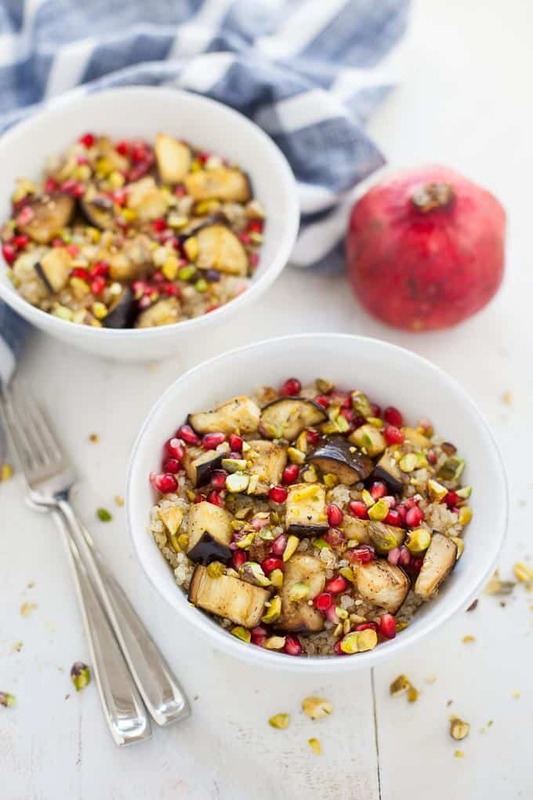 A flavorful, lightened up holiday side dish, this Middle Eastern spiced quinoa salad with eggplant and pomegranate is vegan gluten-free and sure to be enjoyed by all of your holiday guests! T minus two days until the holidays! We’re driving back to Buffalo, NY today to spend the holidays with our families. But before the family celebrations start, you can find me in the kitchen baking all the Christmas cookies (cutouts, peanut butter blossoms, Mexican wedding cakes, pineapple turnovers and hello dollys because you can never have too many kinds to choose from). But cookies can only get me so far during the holidays. I also need some real sustenance that has staying power to get me through the long days of back-to-back family parties. 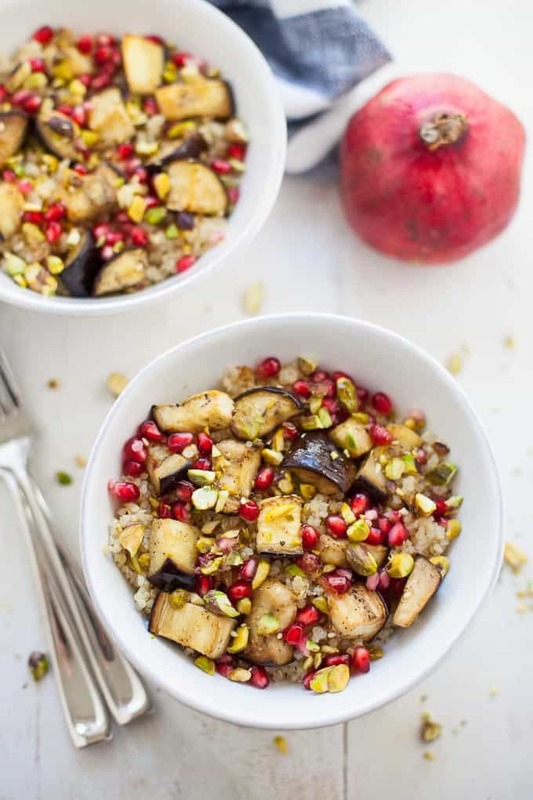 This Middle Eastern spiced quinoa salad with eggplant and pomegranate is perfect for just that. It’s also perfect for someone who wants to add a little festive flair to their dining room spread. The bright ruby red pomegranate arils not only add texture and crunch, they add a vibrant color to make your salad POP. The Middle Eastern flavor profile is deliciously nutty and pairs perfectly with the roasted eggplant and crunchy pistachios. 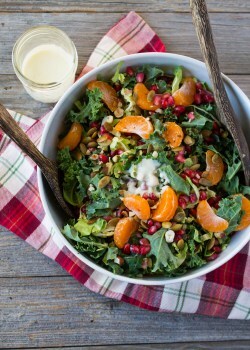 Packed with plant-based protein, fiber, antioxidants like vitamin C, and potassium and magnesium, this salad is brimming with nutrition and flavor. Plus, it’s easy to make the day before to save you time and sanity on the actual holiday. Get the full recipe over at Food Network’s Healthy Eats Blog! For other holiday side dishes, check out my recipes below! 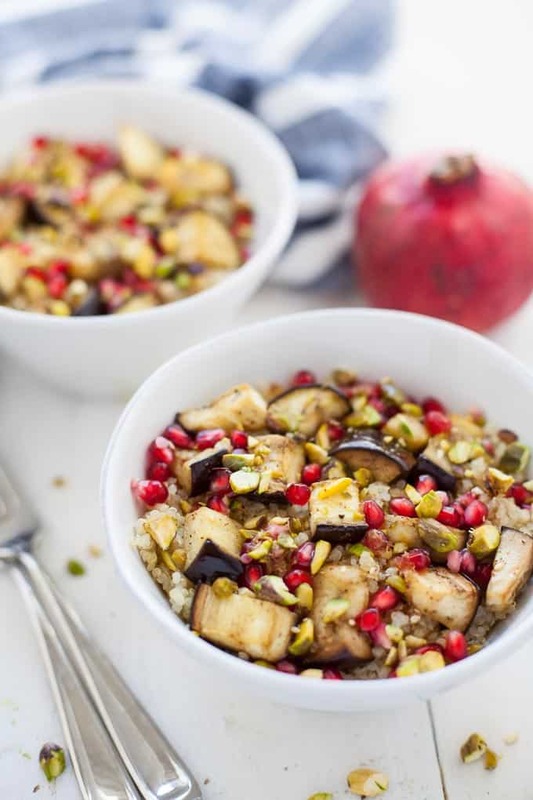 I’ve never thought to put eggplant and pomegranates together, but this dish looks so lovely and delicious that I’ll gave to give it a try! Thanks, Kelli! Hope you enjoy! Hi, I am sitting down to eat your amazing loaded sweet potato with even more amazing green goddess sauce and browsing recipes. Would love to try this quinoa recipe but also can’t find it… thank you!! 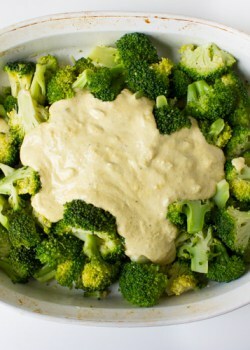 I love this salad but unfortunately I can’t find the recipe in foodnetwork. Oh, shoot! The Food Network removed all freelancer recipes from their website. I’ll work on getting the recipes back up on this site! Pretty pictures, but where’s the recipe?! This salad is so pretty! 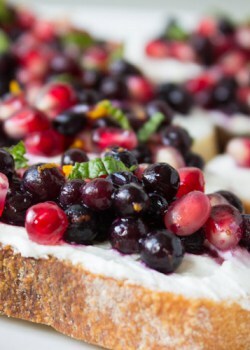 Such a fresh yet festive dish. This salad looks so beautiful! I bet it tastes delicious too! Love this combination of flavors! !